As a Sierra Pacific Mortgage professional, I am dedicated to helping my clients find the perfect loan tailored to their unique financial needs. Whether you want to buy a house, build your dream home, or refinance your existing mortgage, my team and I can help you find the financing solution that's right for you. We are experienced in all types of loan programs and are always available to help you with all of your mortgage related needs. A Richmond native and graduate of Virginia Commonwealth University with over 15 years in the mortgage industry, I clearly understand the local real estate market and what it takes to close your loan with efficiency and expertise. 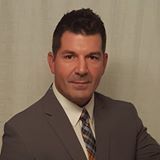 I am a proven mortgage professional that speaks in easy to understand terminology and my attention to detail will make your mortgage process run smoothly and easily. I am truly surrounded by an excellent team that will be dedicated to you on all levels. We look forward to earning your business and serving you well.